Farset Dojo is changing; we’re skipping December and moving from Eventbrite to Zen; restarting on the 8th of February, running every fortnight. Hello followers and supporters of Farset Dojo and awesome Guardians of the Ninjas. We had planned to run our next event on Friday the 7th of December but have decided to postpone the Dojos until after the New Year! This is to allow the champions and mentors (and the ninjas!) to enjoy the holiday season with their families and friends. 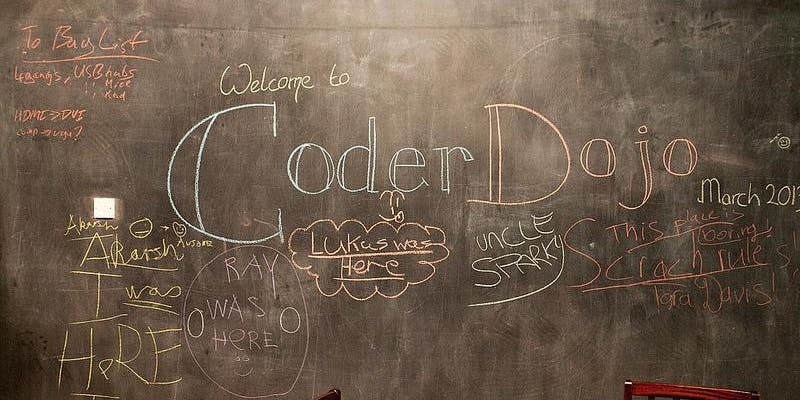 We’re also moving from EventBrite to Zen (the global Coder Dojo website). Zen has fantastic resources available to ninjas and mentors, and it gives us a nice change when it comes to registering who will be attending. Sign up to the new and shiny Farset Dojo here if you want to attend any future events. We’ll be back to running every fortnight from Friday the 8th of February at 7pm! If you want to mentor you just need to register at Farset Dojo or email dojo@farsetlabs.org.uk. We’re super excited to get back into it in February, and we look forward to starting an awesome year with the ninjas. Farset Dojo is back this Friday from 6pm to 8pm, and will be continuing on the 1st and 3rd Fridays of the month until the end of August. Interested in getting hands experiences on with the BBC micro:bit, due to land in the hands of every Year 8 student in the summer term? Now’s your chance! Farset Labs will be running a free, hands on “Getting started with the BBC micro:bit” Computing at Schools Northern Ireland Hub workshop on the 10th March 2016 from 6:30pm-9:00pm at Farset Labs. – What is the micro:bit? We will have a few computers available at Farset, but if possible, please bring your own laptop. This event is supported by the Python Software Foundation, Farset Labs and Computing at Schools NI. Do I need to have any previous programming experience? Nope! We are targeting the workshop at those will little or no programming experience. I am not a secondary school level teacher (am a primary school teacher, higher education academic or from industry), can I come down and take part? Unfortunately we expect high demand for this workshop so have to prioritise secondary teachers for now. If we still have space closer to the workshop, we would still love to see you there though. Put your name down for the waiting list for the “Other” ticket type and we will be in contact closer to the date. If there is sufficient demand, we well look into launching follow-on events for a wider audience. Do I need to provide my own BBC micro:bit? Nope! We have been kindly been provided a set by the Python Software Foundation. Is there anything then I need to bring? If you have a laptop running Windows, Mac OS or Linux, then it would be great if you could bring it. Although we have some computers available, it is better to learn and practice on familiar equipment. Is there free parking available nearby? Yip! Weavers Court Business estate (which Farset Labs is located within) has ample onsite free parking. We’re happy to announce that we’re playing host to the first Northern Ireland Council for Voluntary Action (NICVA) “Policy Hack” day tomorrow morning from 9:30am. 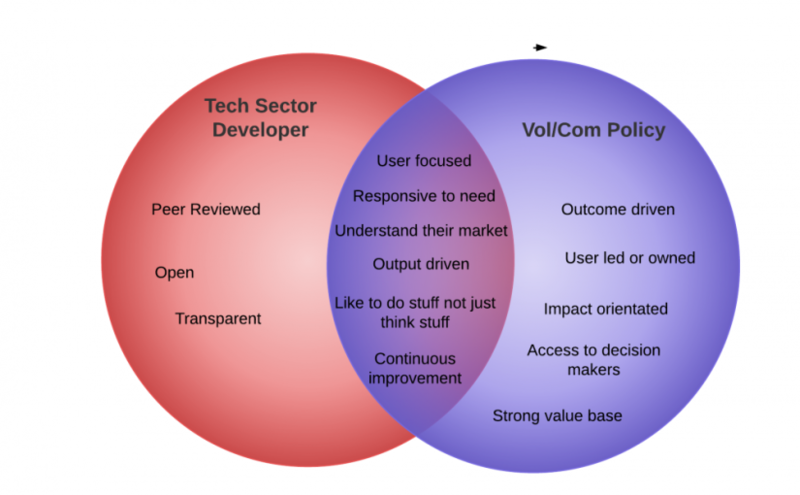 So what is a Policy Hack? It’s a way to bring together policy makers from across the community and voluntary sector, activists, trade unionists, academics, business people, civil servants and members of the public with an interest in the topics to attack issues experienced across a range of themes using a different perspective; the experimental, iterative, and “agile” practices common in the technology and digital creative sectors. Farset Labs is hosting this programme in our inspirational event space, which should create the atmosphere of open collaboration and knowledge sharing that is often lacking in the rest of the world. This first event is focused on finding alternative solutions to the current quagmire that is working poverty; where due to a range of factors, individuals and families remain below the poverty line despite being partly or even fully employed. For more information about NICVA’s programme of events, check out their website. Tomorrow’s event will run from 9:30 to 17:30 and there are just a few spots left, but to express interest in future events, sign up here anyway! NdGT, tellin’ it like it is. This is going to sound old hat, but here at Farset, we’re all about cultivating an environment where the next generation of technologists can come into their own, but as the old saying goes, to teach is to learn twice. That’s why we are always encouraging not only peer-teaching within the space and at Farset events, but also try and encourage our members to take part in STEM outreach to local schools. As such, we’ve been internally working on a semi-regularly-updated wiki of the STEM events that need help in Northern Ireland, and hopefully, people will step up to the plate and give their time and energy to the next generation of technologists. 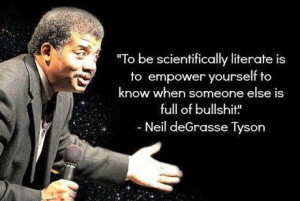 And before you say “That’s the teachers job”, just think back to your own teachers. Did they really know about the latest and greatest technologies going on? Did your IT teacher show you how to deploy RoR services on cloud based LAMP stacks? Did your technology teacher show you how to put an accelerometer and GPS on a Raspberry Pi to act as a vehicle data logger? Did your Geography teacher show you have to use GOV.UK open data resources to map GIS data in real-time? I bet they didn’t (obviously replace those with temporally relevant technologies…). As an aside, we’re trying to find someone to fund travel expenses for such outreach, because we definitely can’t! But if you’re free at any of the listed times, don’t hesitate to get in touch with us or the listed contact points on the wiki and give back to the education system.